Women Leading the Way in Brussels brings together the stories of women leaders in the capital of Europe. These inspirational role models, who have “made it” in a variety of sectors, share their experiences, reflect on lessons learnt, and impart advice for the next generation of aspiring women leaders. • The stories of 14 women leaders in Brussels. • Facts & figures about women in decision-making in Europe. • Advice and “dos and don’ts” for women leaders-to-be. • How to develop more gender-inclusive organisations. 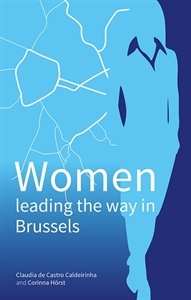 • Directory of groups which connect and support professional women in Brussels.